Last week, with family visiting from Michigan, we drove to Natural Bridge Caverns near New Braunfels, Texas, about one and a quarter hours from Austin. The largest public cave in Texas was discovered in the early 1960s when a group of college students asked the landowners if they could explore on the property. It was suspected that a system of caverns existed, but no one had really attempted to find what lay underground. 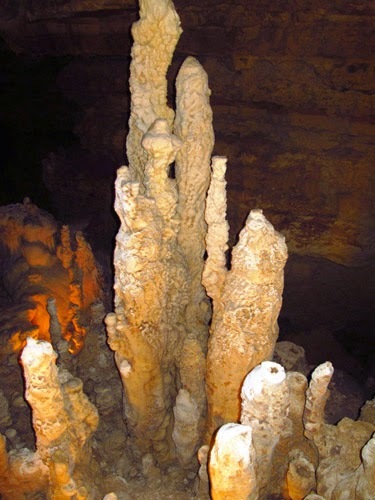 This post includes a series of pictures taken inside the caverns, showing some of the beautiful formations that have been developed and preserved for future generations. 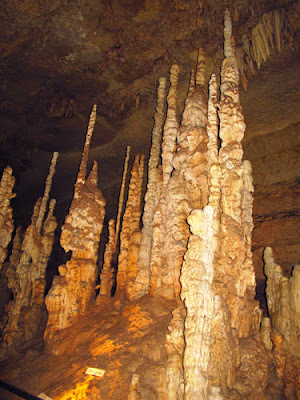 Still owned by members of the original ranching family, the caverns (and surrounding area)provide one of the most popular attractions for visitors to central Texas, especially with the addition of new family-friendly activities in recent years. We went on the original guided Discovery Tour, which takes visitors along the path taken by the first explorers. Established paths are easy to navigate these days as you view Sherwood Forest, Castle of the White Giants, and Hall of the Mountain King, a room the size of a football field. 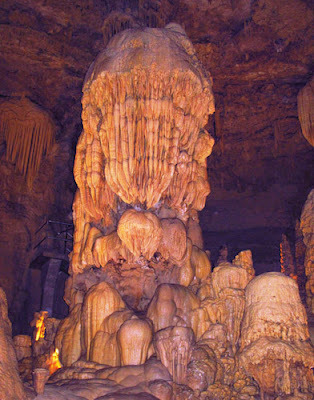 During the 75 minute three-quarter-mile tour, we viewed gigantic limestone monuments in beautiful chambers 170 feet underground. 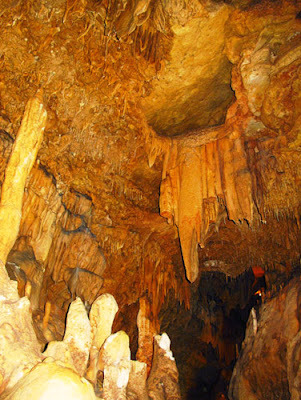 Unlike some caves that tend to the cool side, Natural Bridge Caverns (yes, there is a natural stone bridge over the opening—hence the name), the temperature was about mid-70s throughout. A few years ago the Hidden Passages tour was also opened, giving visitors a choice of tours. It features spectacular glistening formations highlighted in unique ways. 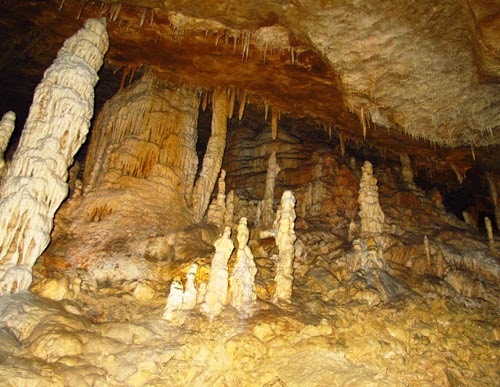 If you’re really adventurous, check out the three-hour “wild cave” tour where you negotiate obstacles through mud or on your tummy and climb up a 25-foot mud-covered slope. After the tour, plan to hang around, so your family can enjoy other attractions at the site including a challenging ropes course, four zip lines, a mineral exhibit and panning opportunity, and of course gift shops and food venues. You can also bring your own picnic to enjoy on the grounds. Tours leave every 40 minutes, sometimes more often in summer. 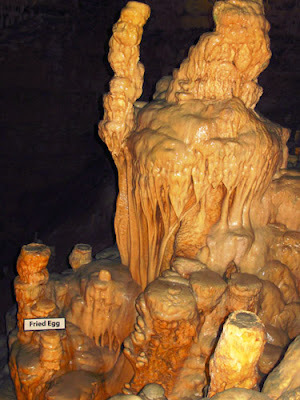 Purchase tickets online or at the caverns.